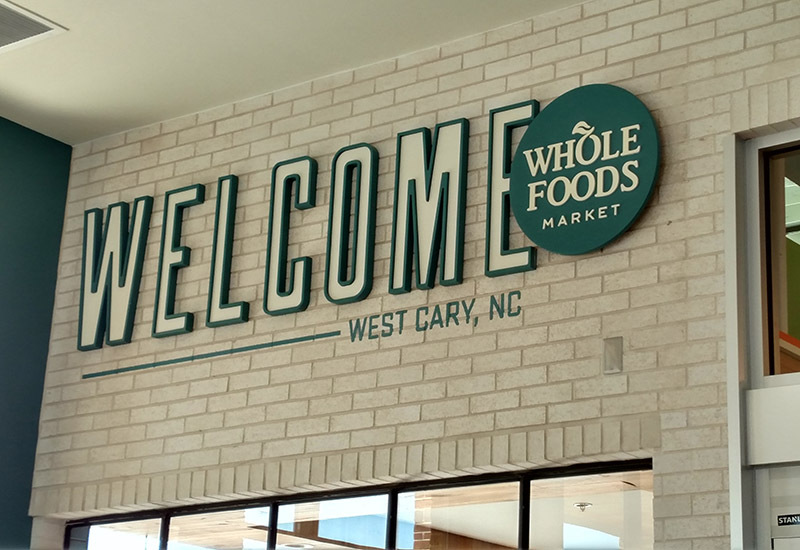 Cary, NC – Now open in Alston Town Center, a new Whole Foods is bringing its approach to produce and groceries to West Cary, including unique features such as a La Farm Bakery and a station for making your own growlers. 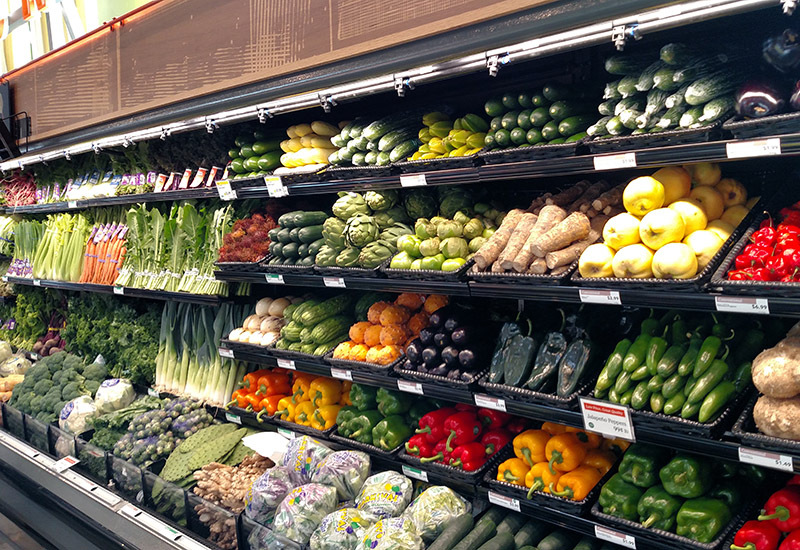 Whole Foods in Alston Town Center opened on Tuesday, November 7, 2017, with the grocery chain’s same approach to food without artificial colors and other additives. This includes both conventional and organic produce, with a number of items from local farms, said Rachael Dean Wilson with Whole Foods. Adjacent to the produce section is a bar for cold press juices and floral displays that can make original arrangements as well as a large bulk section for staples, granola, nuts and more. “Here, you can get as much or as little as you need,” Wilson said. 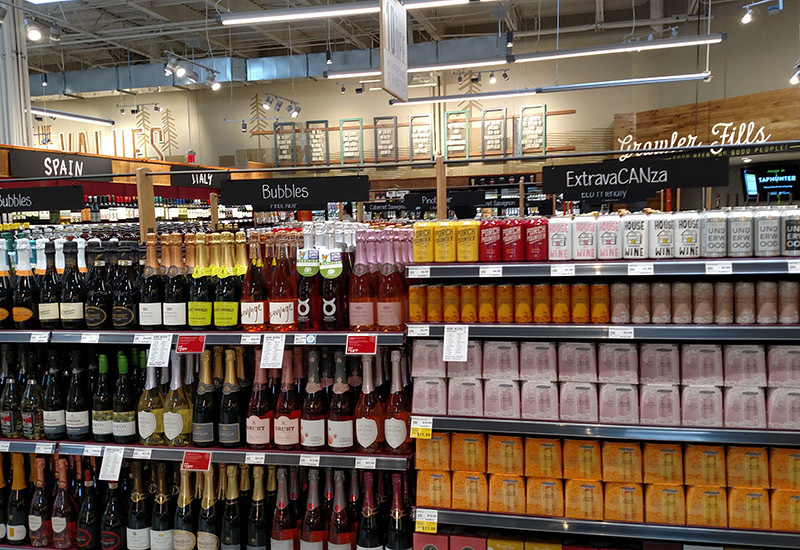 Throughout the Alston Whole Foods, there are signs for local food and drinks, from produce and meat from North Carolina farms to Counter Culture coffee to a large selection of local beer. 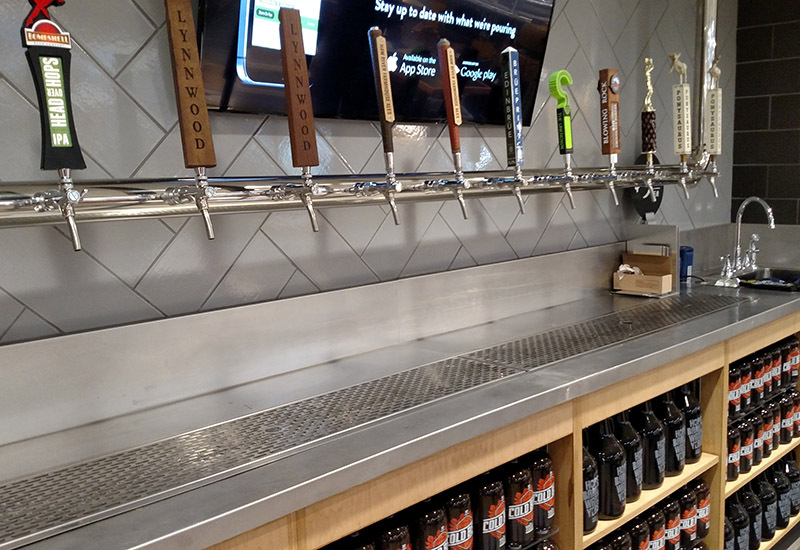 Next to the beer is also a growler station with large jugs and taps to fill them up. There is also a large wine section, including the new trend of canned wine. But there are also international options, including cheese from all over the world, Japanese mochi desserts and more. 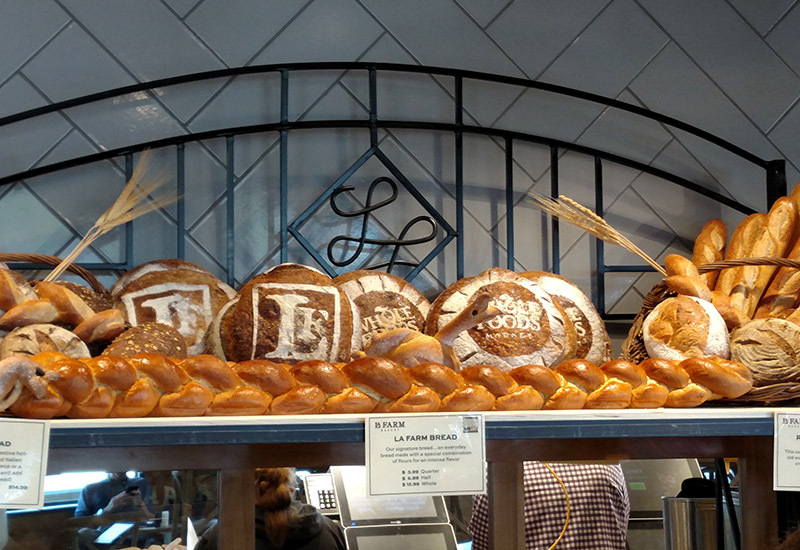 One of this Whole Foods’ unique features is its La Farm Bakery, with a full oven and a café aesthetic. Wilson said the bakery is an “incredible partner” with the rest of the store. Along with the Alston Whole Foods’ produce, bread, drinks and more, there is also an extensive meat section, with fishmongers and butchers with information on different cuts of meat or how to debone and prepare different kinds of fish. “They are very knowledgable and can help demystify everything for shoppers,” Wilson said. Fish and meat are displayed on ratings systems to help customers know where they came from. On the fish side, shoppers can see which fish are farmed and which are wild-caught, while the meat are on a five-step scale, with no cages or crowding for the livestock as the baseline to get on the first step. “To just be on the rating scale is an accomplishment,” Wilson said. 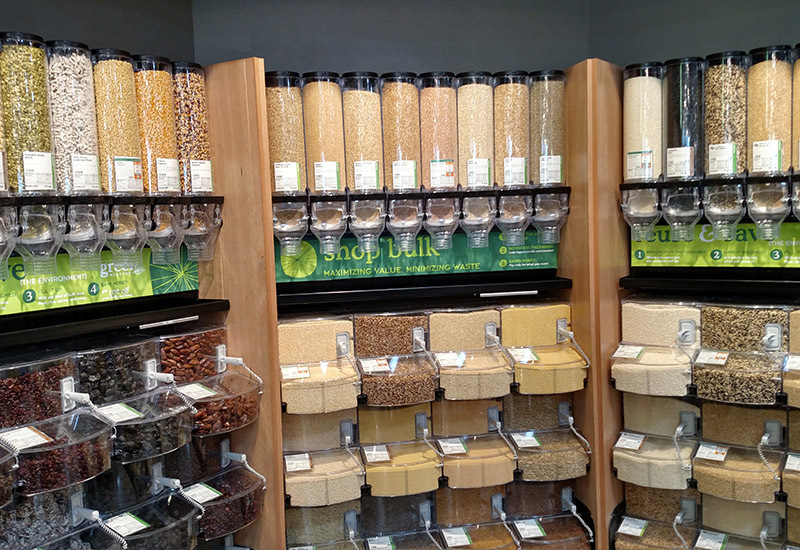 Throughout the Alston Whole Foods are sections for building meals, from pasta to sushi and salad and fried chicken, as well as a fridge with foods to mix and match a meal. For the holidays, there is also a menu to get dinners for the upcoming season. “You can get your whole Thanksgiving meal set up here,” Wilson said. There are other Whole Foods originals for the holidays as well, including pumpkin pie ice cream sandwiches and eggnog gelato. Also unique in the store is its whole body section, which includes a “Build Your Own Bodycare” section to put together scents and skin care and soaps in one package. Opening Day on Tuesday, November 7, 2017 will have 5 percent of all sales going to Good Hope Farm. Also, the first 500 shoppers will win a gift card to the store. Whole Foods is located at 5055 Arco St.